The MST-Lab is a flexible cleanroom facility for MEMS processes on silicon wafers and other substrates with emphasize on bonding, packaging and Micro-System-Technology. Therefore the laboratory also contains advanced tools for testing, dicing, pick and place, fine-pitch wire bonding and different flip chip methods. In addition, IMST has laboratories for: material preparation and characterization, microsystem measurements (electrically and optically) and BioMEMS research like assembly, packaging and testing of lab-on-chip and microfluidic microsystems. 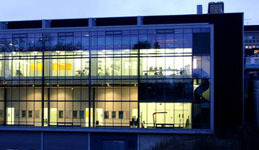 SINTEF MiNaLab performs R&D within microsystems and nanotechnology. The focus is on silicon sensor research, prototyping and small-scale production. SINTEF MiNaLab has a complete Si processing line for 150 mm wafers with state-of-the-art production equipments. 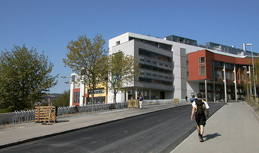 The lab is ISO 9001-2008 and ISO 14001-2004 certified and belongs to the SINTEF department Microsystems and Nanotechnology. Both Norwegian and international industry uses SINTEF MiNaLab for production of key components. The UiO MiNaLab consists of one cleanroom floor and six laboratories with advanced synthesis, processing and analytical equipment, particularly suitable for semiconductors and material science. The facilities are hosted by the LENS group at Dept. of Physics, focusing on application-motivated basic research within semiconductor physics. The most essential research areas are solar cell technology, semiconductor nanoscience and -technology, MOEMS, wide bandgap semiconductors and transparent conductive oxides. The cleanroom is especially designed for interdisciplinary research. It has fully vibration damped ISO-9 to ISO-5 zones equipped for: Chemical methods, including chemical synthesis with emphasis on particle synthesis as well as spin and dip coating. Physical methods involving thin film growth and high resolution lithography techniques. Bionanotechnological methods including soft lithograhy line and biological work spaces. In addition there are a number of characterization methods available, and a designated cleanroom area for education.